I typically have my paintings well plotted out before I begin. But I wanted to experiment with creating a painting somewhat on the go. I had these images of seagulls in flight chasing a scrap of food, which began as the central point. However, something in the composition was missing. Driving home from my studio one night, we had an eerie full moon. The type that disappears in and out of the milky clouds. Almost as if it was coyly hiding behind a translucent veil. 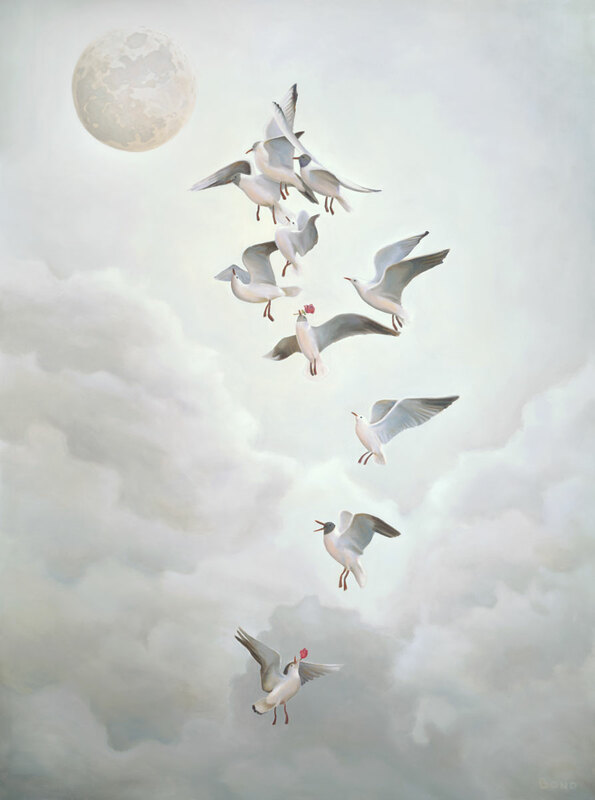 That imagery inspired me to have my birds not fighting for scraps, but contesting who was the most passionate in a dance of courtship to the moon.